Chances are, most of us will have surgery at some point in our lives, in fact the average person will have several procedures in their lifetime from- tonsil removal, getting your wisdom teeth cut out, or something a little more serious like- hip replacements and open heart surgery. When the time comes to prepare for a surgery, there are many important factors to consider- making sure you have the right caretakers appointed for post surgery recovery, choosing the right surgeon, and learning as much as you can about your condition. One of the most important things we can do to prepare for invasive surgery is boost our immune system. It’s important to be well rested, eat a balanced diet, and take optimal care of our bodies in the weeks leading up to an operation. 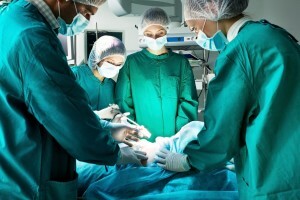 Surgery, regardless of the seriousness, poses itself as a trauma to our bodies, and in turn triggers inflammation and depletes essential nutrients. These things impair the immune system and in turn leave you at a higher risk for post operative complications, especially infections. There are many ways to make sure your immune system is charged up, and one of the top influencers of your immunity is your gut health. Making sure you are working on building your beneficial, intestinal bacteria, is essential to your gut health, and ultimately, your immune system’s strength. Hydration is also a key component to a smooth recovery, patients who are well hydrated report less nausea and pain after going through a surgery. Water retention after surgery is a common discomfort as well, and the more hydrated you are, the lower your chances of water retention will be. Not only will adequate hydration leave you feeling more comfortable, but the more hydrated you are, the faster your body will flush itself of the anesthesia and drugs you have been administered as you are recovering, in allowing your body to relieve itself of any unnecessary toxins. We believe re:iimmune® is the perfect touch to any pre surgery preparation or post surgery recovery. Combine it’s clinical strength hydration and intestinal immune support with a balanced diet and lots of rest- you’re sure to get better, better™!